Joy-also came from an area shelter and was heart worm positive and underweight. Her foster family worked very hard to get her healthy and help her through her yucky heart worm treatments. Joy adjusted quickly being an inside dog with the comforts of home.. specially her foster home. As a matter fo fact she adjusted so well to her foster home that they made it official!!! Joy was adopted by her foster family. Long time fosters they have finally found their furever dane! Gotta Love that FURever love! Harley- came via a city shelter after her stray hold was up. If she had a family they never came to get her so she came to rescue. Harley is a beautiful diva dane who just wanted a family of her own to care for her as every diva should. It is official Harley has found her perfect FURever home and has fit right in perfectly. Harrison... oh what can I say.... Harrison came from a local shelter as a bit of a wild child.. full of nothing but love and energy.... Harrison has never met a heartbeat he didn't love.. enthusiastically! Harrisons foster home worked hard to help him remember his manners. We wanted to find a home who found his enthusiasm charming. BINGO Harrison has found his perfect furever home who loves him completely! 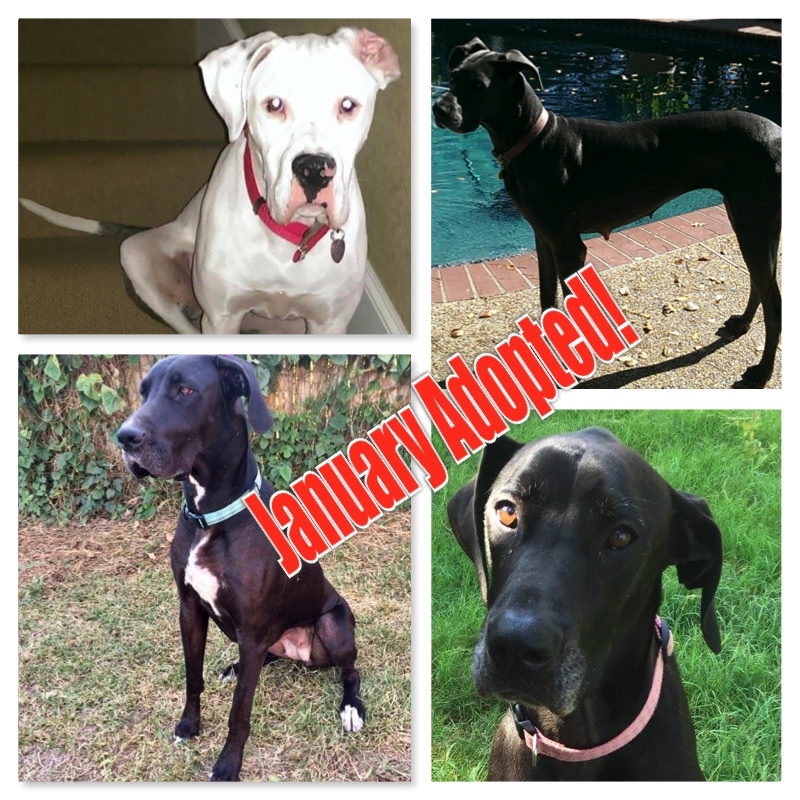 Congrats to our January FURever homes!